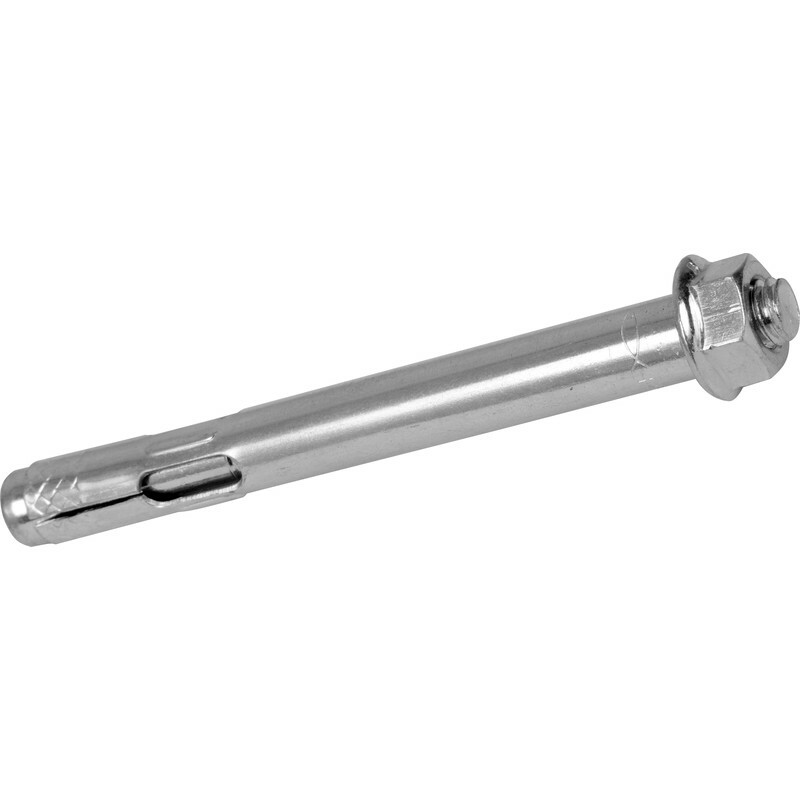 Zinc-plated steel, push-through anchor with hexagonal head threaded nut and bolt. Detachable screw. Fischer Sleeve Anchor FSA 12 x 130mm (20 Pack) is rated 4.8 out of 5 by 5. Rated 4 out of 5 by Colinh09 from Only just does the job Drilled holes with a 10mm tungsten drill bit into concrete for a fence. The holes were only just big enough and some were very tight. Upon tightening the bolt down some just kept on turning. So requires a very precisely drilled hole which you don't get in concrete. Out of 16 holes only 7 were perfect. The tolerance on the bolts is literally fractions of a mm. There's probably better solutions out there. Rated 5 out of 5 by Harryo 123 from Fischer sleeve anchor. Excellent quality at a very good price. Rated 5 out of 5 by surreyjames from Great for fixing heavy radiator brackets These are ideal for fixing heavy radiator brackets to a plastered brick wall. Drill the 10mm diameter hole. Unscrew the nut, slip on the bracket, replace the nut with just one turn and tap into place. When you tighten up the nut the bolt will expand and you will find that the bolt is now done up to the full depth on the nut.